Sofitel Philippines Plaza Manila, a 5 star hotel with a difference. If resorts are your thing and you are in Manila, then the only place to go is the Sofitel Philippines Plaza Manila. It is the only resort on Manila Bay with all the resort things to do, except water activities, I would not recommend anyone swim in Manila Bay! The Sofitel Philippines Plaza Manila use to be the Westin Philippine Plaza but the management rights were taken over by the large French group Accor, who are in the middle of refurbishments to bring the existing 5 star hotel up to the quality of a Sofitel. Sofitel is the 5 star brand of the Accor group. This 609 room 5 star Manila resort is a little out of the way, but not far enough away to be too far. Hope that made sense. Basically if you want to be removed from the energy that manila has but close enough to be part of it then Sofitel Philippines Plaza Manila will be perfect. Sofitel Philippines Plaza Manila where is it? 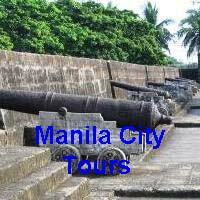 The Sofitel Philippines Plaza Manila is in the CCP Complex right on Manila Bay, just off Roxas Boulevard. 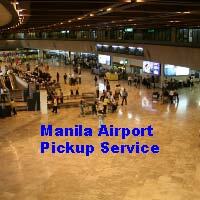 It should take about 15 - 20 minutes by car from the airport, depending on what time of the day and what day it is. To get to shops you will need to take a taxi. The Sofitel Philippines Plaza Manila is a bit out of the way if you want to walk everywhere. It would have to have the nicest swimming pool in Manila and if you have kids, they will love the slide into the pool. 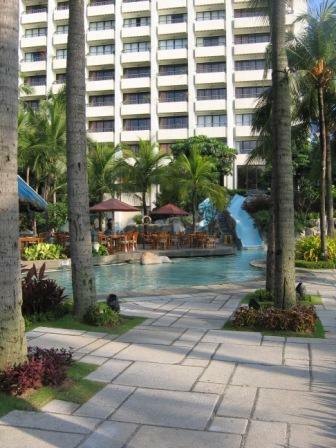 The grounds are in immaculate condition as you would expect from a 5 star Manila resort. You also typically have restaurants, bars, gymnasium, ballroom and various other conference rooms. Personally I would not stay here for only one night, it is a beautiful setting and deserves more than one night. I like the way it is out of the way from the noise and racket of Manila, but close enough if you need to get somewhere by taxi. You can get an idea of how much accommodation will cost you.. If you would like more information on the Sofitel Philippines Plaza Hotel, just fill out the form below. Or if you would you like to talk to someone about Sofitel Philippines Plaza Hotel? Click on the icon below for online live support. One click away from live help! 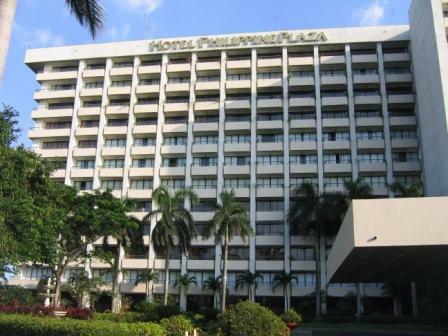 Have YOU stayed at the Sofitel Philippines Plaza Hotel Manila? Share your tip or review on the Sofitel Philippines Plaza Hotel Manila with everyone!